Two state champions — Hawaii Preparatory Academy’s Shane Brostek and Waiakea’s Tyler Yonemori — have been named the Big Island Co-Athlete of the Month for May. Brostek, a 6-foot-3, 300-pound junior, threw a personal-best 55 feet, 11 inches in the shot and tossed the discus 173-04 in gold medal performances at the Hawaii High School Athletic Association track and field championships on Maui. He was the only Big Island Interscholastic Federation athlete to claim two gold medals at the state meet at War Memorial Stadium. 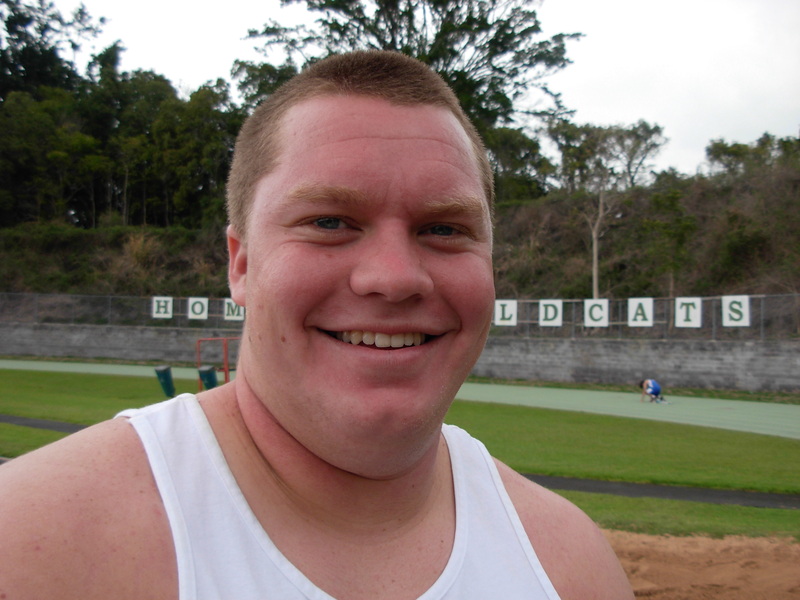 Brostek earlier captured the shot put and discus titles at BIIF track championships. Besides track and field, Brostek is also a football standout for the Ka Makani. 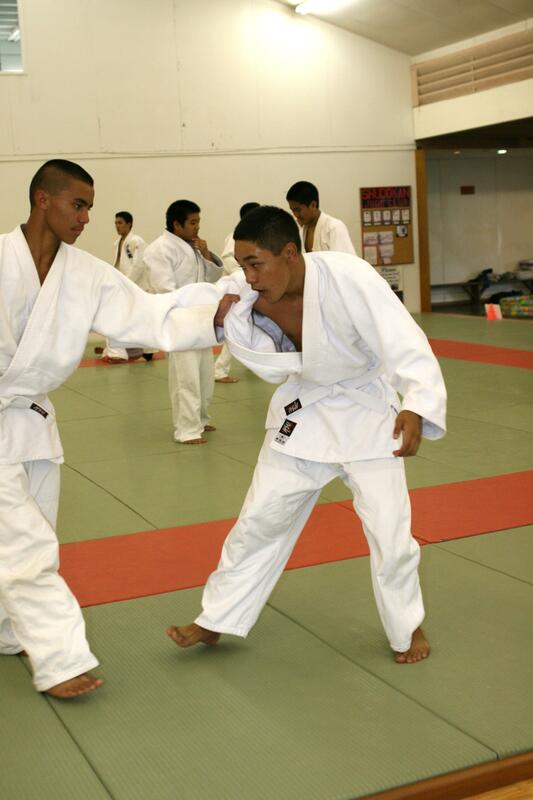 Yonemori captured the gold medal in the 145-pound division of the HHSAA boys judo championships in Honolulu. Yonemori beat Kamehameha-Kapalama’s Jonah Hoshino by ippon at 0:14 to claim his second straight state title. For the second consecutive year, he was the only BIIF athlete to win a state crown. Yonemori earlier won his third straight BIIF judo title and was also named the league’s first-ever Judo Male Player of the Year. The athlete of the month program is sponsored by Don’s Grill, under owner Don Hoota. The athlete of the month as well as athlete and sportsperson of the year programs were founded by the late Jack Matsui. The Kamehameha girls claimed another Big Island Interscholastic Federation team title this past weekend, while the boys team title was captured by the Hilo Vikings. BIIF action continues this Saturday with the individual league championships to be held at Kamehameha starting at 10:30 am. Hear the terms Ippon, Wazari or Yuko and you know you are in a judo tournament as such was the case this past Saturday as prep judoka from around the Big Island Interscholastic Federation spent the day competing at the Waiakea High School gym. Waiakea’s own, Tyler Yonemori, had two big wins as he battled in the 178 pound weight class. Yonemori, who normally competes in the 145 division, weighed in at 153 and was bumped up another weight class in order to compete against larger opponents. “I guess I’ve been eating too much ice cream,” Yonemori said with a grin of being eight pounds over his normal competing weight. 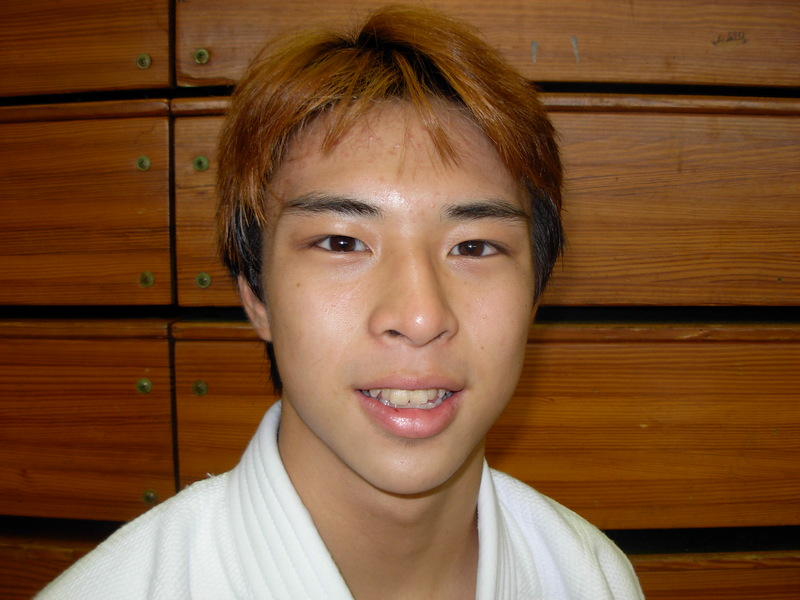 Yonemori is in his 10th year of judo carries a first degree black belt, had little opposition going against heavier judoka. During his first match against Kamehameha senior, Eric Young, Yonemori used a high seoinage throw to secure the Ippon victory. In his second match Yonemori went against Hilo’s Isaiah Kanakanui and began with his usual strategy of keeping his right arm close to his chest while grabbing his opponents Judo Gi with his left arm in order to catch Kanakanui off balance. Yonemori beat the taller and heavier Kanakanui by using a sodetsurikomi goshi throw and won by Ippon. The flip was picture perfect with Kanakanui flying over Yonemori’s shoulder and the Viking falling properly without injury. “I get a thrill from competing, it’s like being on drugs, without the drugs,” Yonemori said. Waiakea’s Steven Ogi faced Kamehameha’s Ikaika Villanueva in the 132 weight class with Ogi taking the mat with a calm focus. The advice paid off as Ogi succeeded with a hara goshi throw in the first 20 seconds of the match to secure an Ippon victory. “He came in with a back leg reap and I shifted my weight and countered him backwards,” Ogi said of his win. 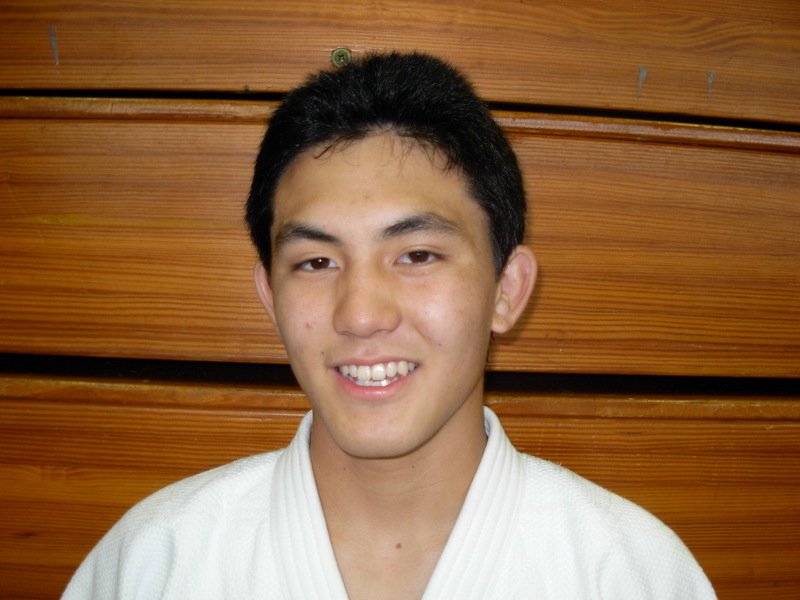 Ogi, who is in his third year of judo and carries a brown belt, believes that mental attitude is what wins judo matches. “Our sensei, (Gregg Yonemori) is always telling us to go in to each match with the mindset that we’re going to win and that is what I always try to do,” Ogi said. While the Waiakea duo was displaying their talents on the mat a pair of Kamehameha girls were leaving their mark for the day. Kanoe Padaken, a sophomore, and Kalena Shiroma, a senior, looked unstoppable in their matches. Padaken began the day with a match against Waiakea senior Kiana Machado in the 109 weight division. Machado became the early aggressor in the match and tried for several quick throws, which were unsuccessful. At the one minute mark of the four minute match Padaken took the inside position and did a seoinage to win by Ippon. Later Padaken was at it again this time going against Kealakehe’s Kandy Mento. Padaken got Mento on the mat and then held her down in the pin position for the required 25 seconds for the win. “I used a seoinage to get her on the ground then held her down,” Padaken said of her victory against Mento. Warrior teammate and the BIIF’s highest finisher last year at the state judo championships, Kalena Shiroma had one match in the 139 weight class before heading out to get ready for her senior prom. Shiroma went against Kealakehe’s Anna Kroger and wasted no time in ending the match which last few than 10 seconds. “I got inside of her and set her up by waiting until she was off balance then pulling her over my leg, using a taiotoshi,” Shiroma said of her Ippon victory. Waiakea’s judo coach, Gregg Yonemori, had double duty over the weekend hosting the tournament and coaching his judoka. A total of six schools compete during the BIIF season which includes host Waiakea, Hilo, Keaau, Kealakehe, Konawaena and Kamehameha. Schools were pitted against each other in head to head competition as team scoring were decided as each school tried to field a ten person team with one competitor in each weight division. The Kamehameha girls, Hilo and Konawaena boys are considered by many judo enthusiasts to be the teams to beat this season with each school having their own individual favorites to cheer for. 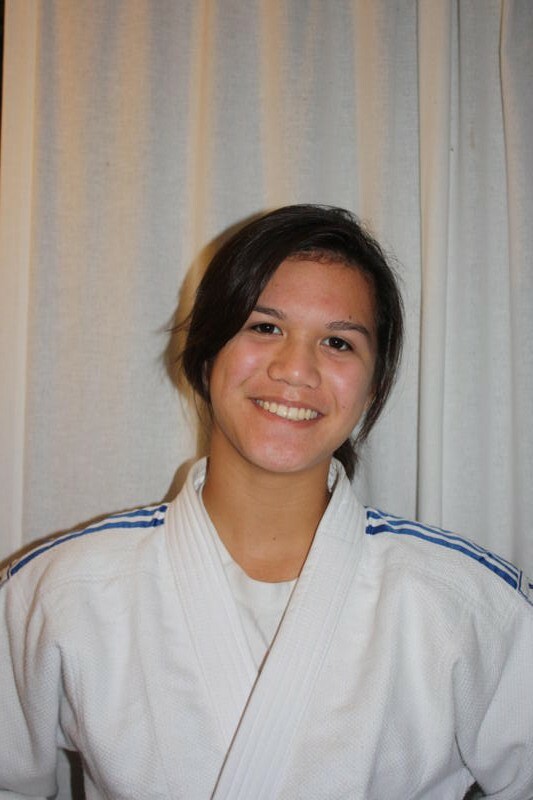 The Big Island Interscholastic Federation Judo season is about to get under way and Kamehameha’s Kalena Shiroma can’t wait. Shiroma recently returned from a nine day trip to Tokyo where she practiced with judo players from Shukutoku University while staying in the dorms on campus. 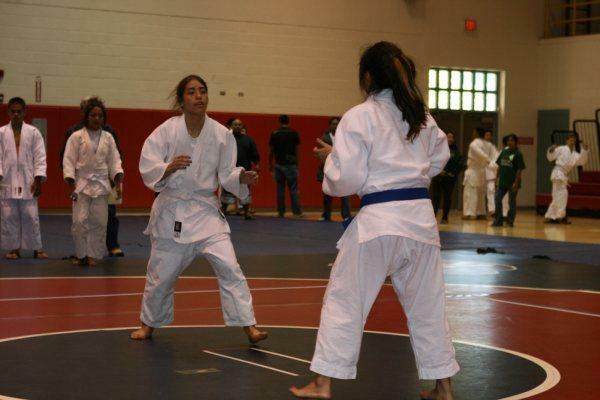 Shiroma, a senior, is the two time defending BIIF judo champion winning the title her sophomore year at the 129 weight class and last year at 139. It was during the 2009 season that Shiroma made it to the finals of the Hawaii High School Athletic Association state championship and finished in the runner-up position, the highest finish of any BIIF competitor last season. 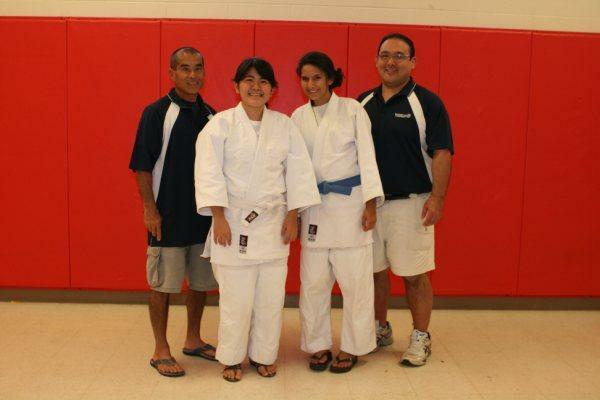 Shiroma, a three sport athlete, started the fall season with cross-country, then moved to soccer during the winter and finds herself at the top of the spring judo season. 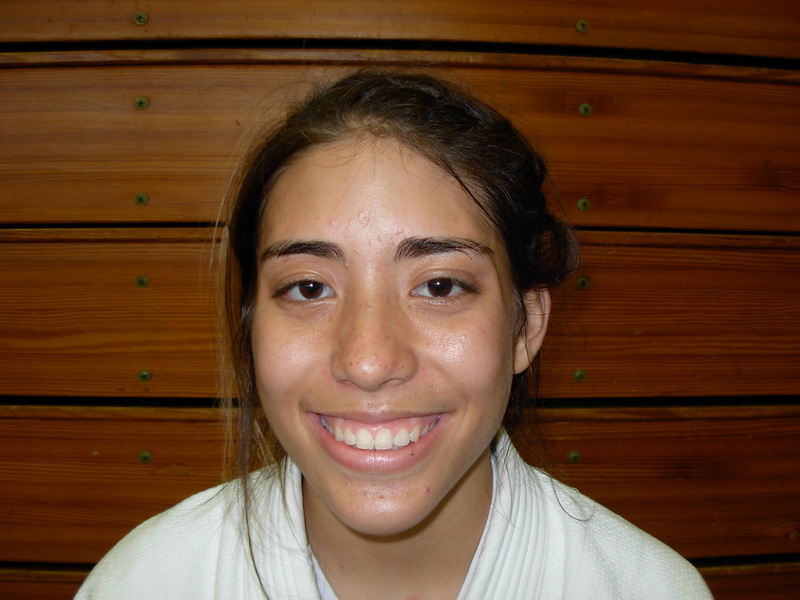 Shiroma, at 5’ 7” tall, is currently a brown belt in judo and has used her height to her advantage. The Kamehameha girls team returns to the mat as the BIIF two time defending champions and head Coach Calvin Enoki is all smiles as the Warriors are loaded with experienced judoka. “We have a very strong girl’s team as three of our girls return as BIIF champions in Megan and Jenna (Aina), along with Kalena (Shiroma),” Enoki said. “Our girls should be the team to beat as we have the numbers to fill all but the two heaviest weight divisions and the quality that we do have is very good,” he said. Kamehameha girls return BIIF individual defending champions Megan Aina at 103, Jenna Aina at 122 and Shiroma at 139. Added to the experienced firepower are Kanoe Padaken and a host of up and coming freshmen. The Aina sisters have made a name for themselves in judo as Jenna is a three time BIIF champion and Megan returns as the defending champion. Megan Aina is also the HHSAA state wrestling champion at 98 pounds and she finished third at the Judo championships last season. 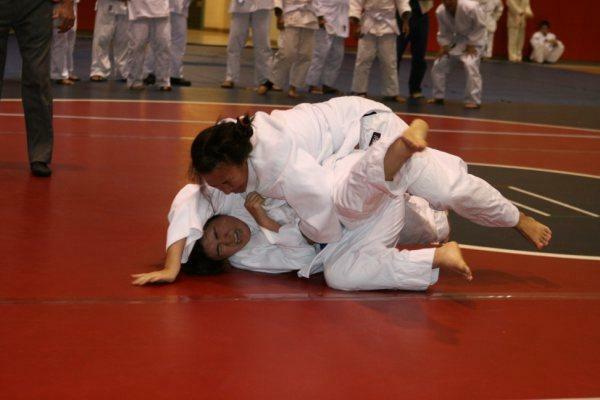 Sister Jenna finished second at the Junior Judo National Championships held in Chicago in 2008 and also finished second at the High School Junior National Championships held at Bingham Young University College Auditorium on Oahu that same year. Aina has captured all three BIIF titles and placed at the HHSAA state championships all three years at the 122 weight division and will fill that same division in her senior season. 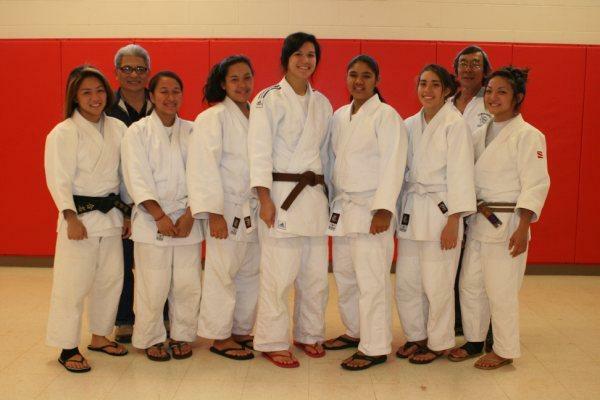 Aina is a first degree black belt and belongs to Hilo’s Shudokan Judo Club where she continues to practice regularly following her prep practices at Kamehameha. Coach Enoki sees his solid core of experienced judoka as the strength behind a powerful Warrior squad, but also believes that Kamehameha is working on a judo dynasty by creating a building block into high school. “We just started a judo middle school program and are now starting to see the results in some very talented incoming freshmen,” Enoki said. The Warrior boys will see BIIF runner up Sky Kekona-Souza return at 121 and will be complimented by seniors Eric Young at 161 and Isaac DeRego at 198. Hilo veteran coach, Jack De Lima, will see a talented boy’s team take to the mat on Saturday. Tyler Vaughn,12; Sean Arakaki,11; Jens Beets, 11; Jordon Enos, 11; Isaiah Kanakanui, 11; and Sheldon Graham, 10; will head line a strong Viking squad. Waiakea returns BIIF boys individual champions Harlan Wilbur, 108; and Tyler Yonemori, 145; along with girl champions Kaylyn Otsubo, 115; and Lisa Nakagawa, 129. 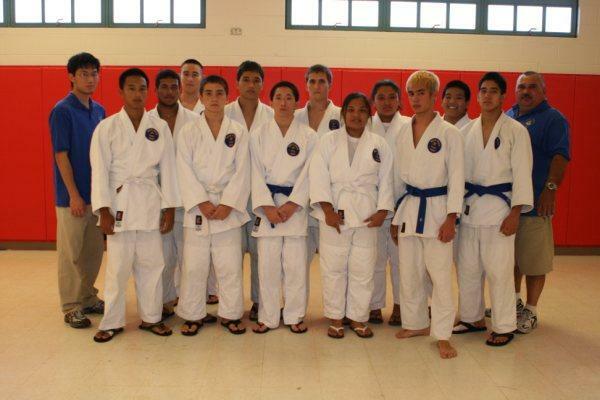 The BIIF judo season gets under way this Saturday with a Novice/Open meet starting at 10:30 at Hilo High.